ADITYA BASAK (b. 1953) graduated from the Government College of Art & Craft in 1977. Over the last 30 years, he has received numerous awards, including the National Award, the West Bengal State Award, a Senior Fellowship from the Ministry of Human Resource & Development and the Taj Gaurav Award. He has had more than 100 group shows throughout India, as well as numerous solo exhibitions including participation in the National Exhibition, Bharat Bhavan Biennale, State Academy, Birla Academy, CIMA and others. Aditya’s work has been shown at the Indian Triennale of World Art and at exhibitions and workshops throughout Europe, Asia and North America. Aditya’s videos have screened at festivals world-wide, notably at an international conference on violence, memory and mutual understanding in Tel–Aviv and Santiniketan; the Freer Art Gallery, Washington and at the Kalpanirjhar International short film festival. He is represented in the collections of the Lalit Kala Academy-Delhi, National Gallery of Modern Art-Delhi, Delhi Art Gallery, Mukund and Neerla Lath collection, Chitrakala Parisatha-Bangalore, and in numerous international corporate and private collections. His family has been in Calcutta for generations. ALAKANANDA NAG (b. 1977) graduated in Documentary Photography & Photojournalism from the International Center of Photography in New York. Her interests mainly lie in lesser known stories, including two long term projects, 'Armenians of Calcutta' and 'Nowhere People—Lives of People in the Indo-Bangladesh Enclaves.' 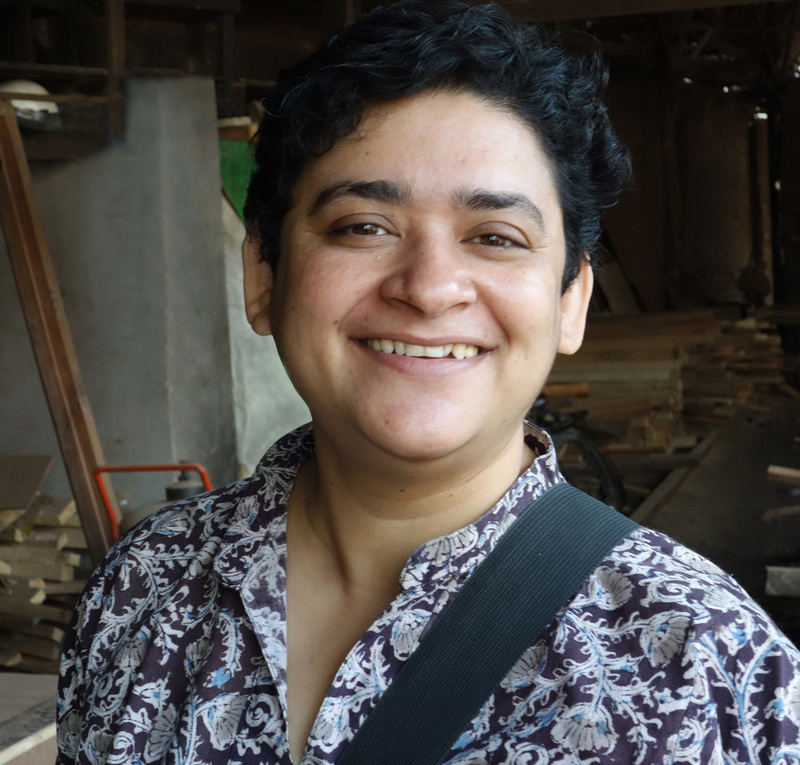 She has recently relocated to Kolkata, where she grew up, to work on historical and heritage projects. Alaka has been published in BBC Online, Motherland Magazine, Harlem Black Coffee Magazine (cover), AM New York and HIMAL South Asian. Alaka has worked with developmental agencies such as UNICEF, Oxfam, and Action Aid, among others. She is syndicated by the New York based photo agency Redux Pictures. Alaka is the India correspondent of the American photo magazine Foto Visura, where she has interviewed Raghu Rai, Garciela Iturbide, and Shahidul Alam, among others. ALAN TELLER (b. 1946) received post-graduate training in anthropology and photography at Indiana University, which led him to create the Inner-City Photo Workshop, a Chicago center for high-school dropouts. He has received many grants for community photography projects and arts and social issues programs. 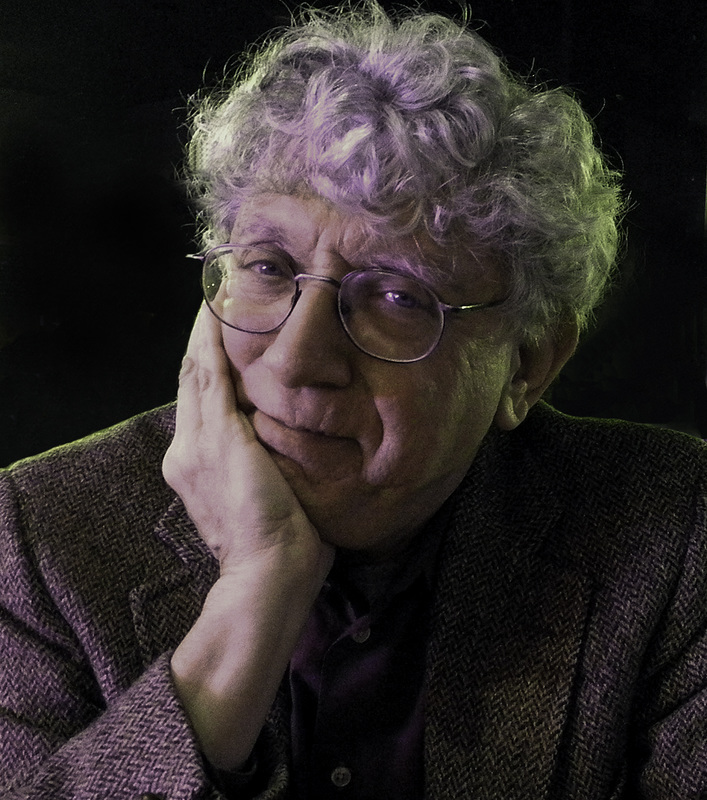 Alan has published numerous articles as well as the guidebook ‘Photography in the Classroom.’ He was photographic researcher for the Field Museum of Natural History, where he also taught classes on photography and anthropology. Alan founded Teller Madsen, a museum exhibit design company that has developed over 100 exhibits nationwide, including the permanent exhibits for the Herbert Hoover Presidential Library, ‘Vivian Maier’s Chicago’ and many others. With Jerri Zbiral, he produced the award winning documentary ‘In the Shadow of Memory, The Legacy of Lidice.’ He was also the Executive Director of the Adlai Stevenson Center on Democracy. Alan has taught at Columbia College, Purdue University, the School of the Art Institute and Lake Forest College. He has exhibited his own photography since the 1970s. Alan has received many grants including a 2013 Fulbright-Nehru Senior Scholar Award for ‘Following the Box,’ co-produced with Jerri. AMRITAH SEN (b. 1973) completed her BFA in 1997 and MFA in 1999 from Kala Bhavan, Visva Bharati University, Santiniketan. She received the National Scholarship from 1996 to 1998. She has had numerous solo shows at prestigious galleries and public museums throughout India, including ones at the Ganghara, Anant, Project 88, Gallery Threshold, CIMA, Lalit Kala Akaemi, Birla Academy and others. She has exhibited internationally in London, Kuwait, Egypt and Germany. Her work was also recognized at Cologne Paper Art, Germany, in 2012. She presently resides and works in Kolkata. CHHATRAPATI DUTTA (b. 1964) graduated from the Government College of Art and Craft in Kolkata in 1987. He received a scholarship from the Greek Government to pursue post-graduate studies in visual arts in Athens. Chhatrapati also has a Masters of Fine Arts from Kala Bhavan, Shantiniketan. 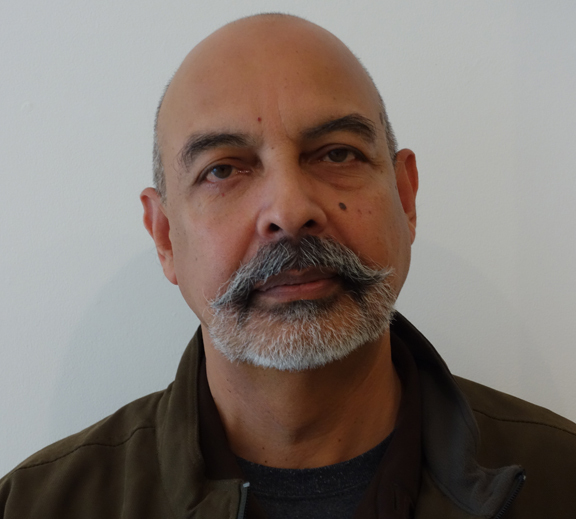 He has exhibited in major group shows in India and abroad since 1987 and works in video, theatre, television film and installation art. 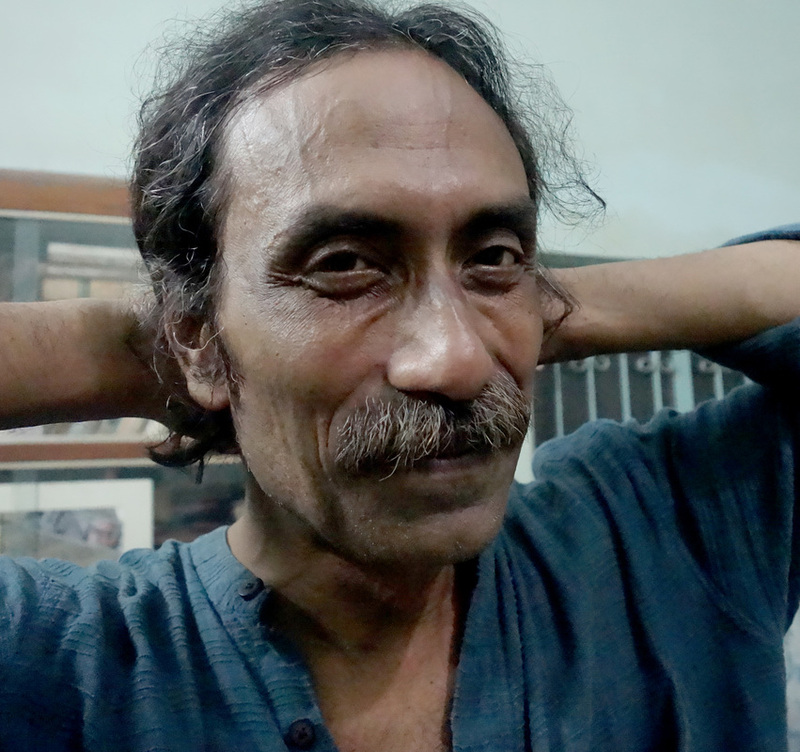 Chhatrapati has taught in the Department of Painting at Rabindra Bharati University in Kolkata and is the founder member of Khoj Kolkata, an international alternative arts group. He lives and works in Kolkata. JERRI ZBIRAL (b. 1948) was born in Prague, Czechoslovakia. She received a Master of Fine Arts degree in photography from the Visual Studies Workshop in Rochester, New York. 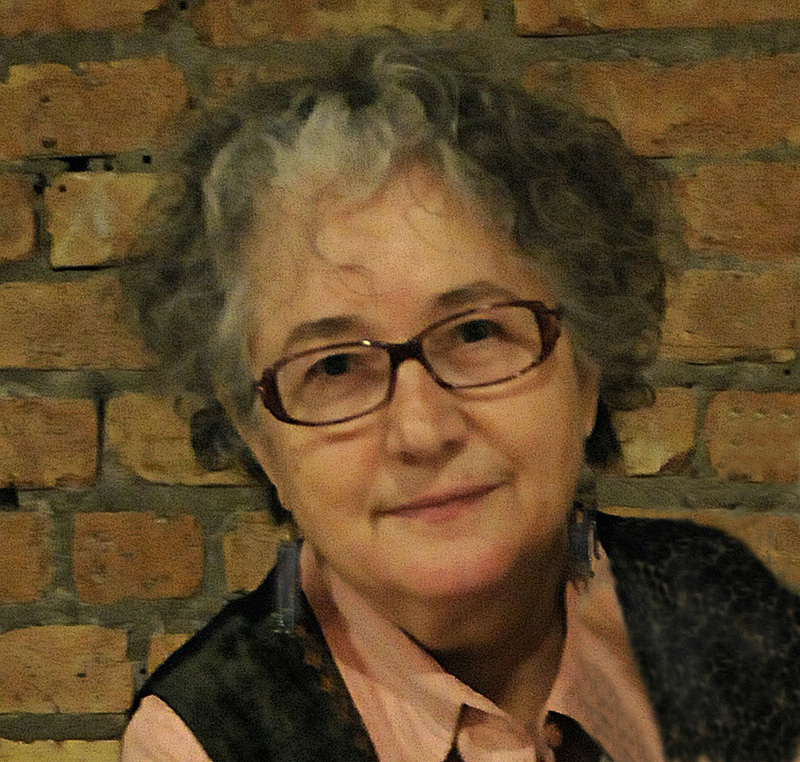 Jerri founded and directed community photography programs for the Public Art Workshop and the Community Arts Center of the Uptown Hull House in Chicago. There, she worked as arts administrator, teacher, and director of a special photography program for the hearing impaired. With Alan Teller, she is a partner in The Collected Image, exhibiting vintage and contemporary photography and appraising photographic collections. Jerri has received numerous grants for her own photography and to fund community programs. She has directed and produced the award winning and internationally screened documentary films ‘Never Turning Back, The World of Peggy Lipschutz’ and with Alan Teller, ‘In the Shadow of Memory: The Legacy of Lidice.’ She is co-Director of the Fulbright-Nehru funded project ‘Following the Box’. She and Alan are based in Evanston, Illinois. MAMATA BASAK (b. 1956) graduated from the Government College of Art and Craft in both painting and sculpture. She was featured in four person shows in 1981 and 1983 at the Academy of Fine Arts. She has exhibited in several group shows in Delhi and Mumbai, including Rajya Charukala Parishad in 2001. Mamata’s work was selected for the annual shows of Birla Academy of Art and Culture in from 2003 to 2010. In 2010, she was honored with a solo exhibition at the Birla Academy. She has also participated in art camps throughout India. She lives and works in Kolkata. PRABIR C PURKAYASTHA (b. 1952) graduated in English Literature from the University of Delhi, and spent over two decades in India’s leading advertising agencies. Prabir’s photography has received wide recognition, including the Habitat Award for Best Photography Exhibition in 2002 and the SAPPI Asian Awards for Printing for his 2003 Interglobe calendar. He has received numerous awards for his decade-long project in Ladakh, including the Gold Master Printers Award; the international B/W photography Magazine Spotlight Award and the silver SAAPI award. ‘Ladakh’ was voted ‘Book of the Month’ by Better Photography (UK) in July 2006. 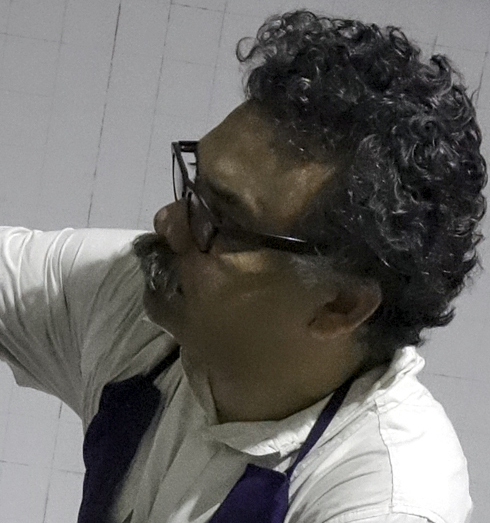 Prabir has had solo exhibitions in New York, Chicago, London, Katonah, Los Angles, Cologne, New Delhi, Kolkata and Mumbai and was a featured artist at the Rubin Museum of Arts, and the Sundaram Tagore Gallery in New York. Prabir’s work is held internationally by private and corporate collectors and has been featured in many international publications. Prabir was nominated for the international Prix Pictet 2009 Award. He was selected as one of the Super Six Photographers for 2009, by Fuji Film, India. Prabir currently resides in Gurgaon. SANJEET CHOWDHURY (b. 1966) a filmmaker and photographer by profession, graduated from St Xavier’s College, Kolkata, in 1989. In 1999, he started his own production house. Sanjeet is also a practicing photographer. In the past, his photographs have been showcased in exhibitions in London, New York and Basel. He has been making video art since 2001, with films being screened at various international festivals at the Smithsonian Institute, Washington; Transmediale, an international media and art festival in Berlin; Tel Aviv; Stockholm; Shanghai and various film festivals across India. Sanjeet is a collector of albumen and silver gelatin prints, glass negatives and Daguerreotype plates. His other interests include collecting 19th and 20th century Indian prints (lithographs and oleographs). He is based in Kolkata, and works out of Kolkata and Mumbai. 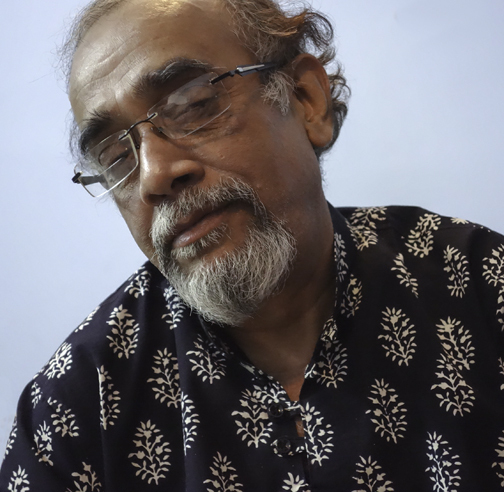 SARBAJIT SEN (b. 1958) studied English Literature at Calcutta University, had a brief stint as a copywriter in an ad agency, joined a bank but left it for cartoons, comics and films. For more than a decade, he contributed cartoons and weekly comic strips to leading Kolkata dailies The Statesman, The Economic Times and Ajkaal. His cartoons, comics and graphic narratives have appeared in China Daily (Beijing), Janakantha (Dhaka), Drighangchoo (JU, Kolkata), Bengal Lights (Dhaka) and This Side That Side–a partition anthology published by Yoda Press and Goethe Institut, New Delhi. He was awarded ‘Best Film’ in the Art and Culture category at the National Film Festival and received 1st prize at the National Environmental Comic Festival. He has made films in association with UNAIDS, YLE (Finland) and PSBT/Films Division and for Bengali television. At present he is working on an extensive graphic novel on climate politics and is a visiting faculty at National Institute of Design, Ahmedabad. He is based in Kolkata. 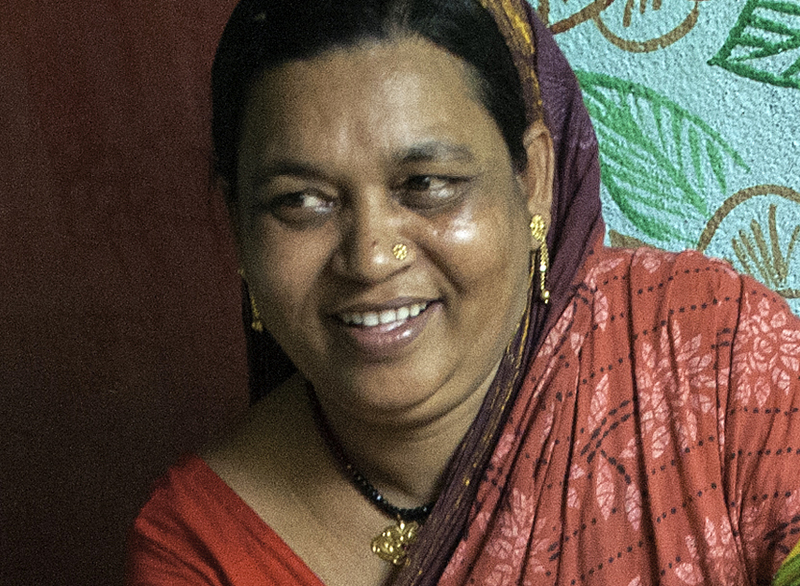 SUNANDINI BANERJEE (b. 1976) completed her Masters in English Literature from Jadavpur University, Calcutta in 2000 and joined Seagull Books as an editorial assistant. In 2002 she designed her first Seagull Books catalogue. She is now Senior Editor and Senior Graphic Designer and designs all of Seagull’s acclaimed books, covers and catalogues. Her digital collages are inspired by the diverse range of Seagull’s titles. Created entirely on the computer, combining photographs, paintings, sculpture, woodcuts, line-drawings, magazine clippings, and text, these collages are both an interpretation of and a response to a wide range of poetical, philosophical, political and other texts. Sunandini has illustrated Thomas Bernhard’s ‘Victor Halfwit: A Winter’s Tale’; Ivan Vladislavic’s ‘The Loss Library’ and Diane Meur’s ‘In Dreams.’ Her most recent work has been an illustrated edition of a new translation of Isha Upanishad. 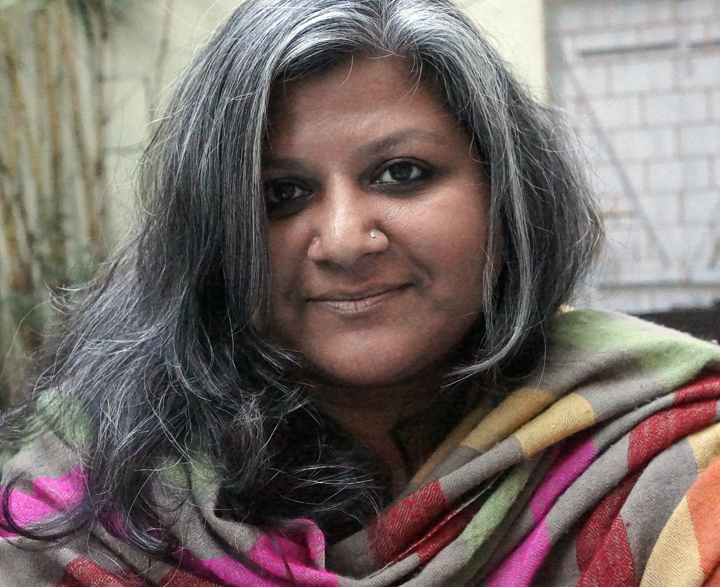 Her work has been exhibited throughout India as well as in Cologne, Shanghai and Sri Lanka. She lives and works in Calcutta. SWARNA CHITRAKAR (b. 1974) is a traditional Patua (scroll painter.) 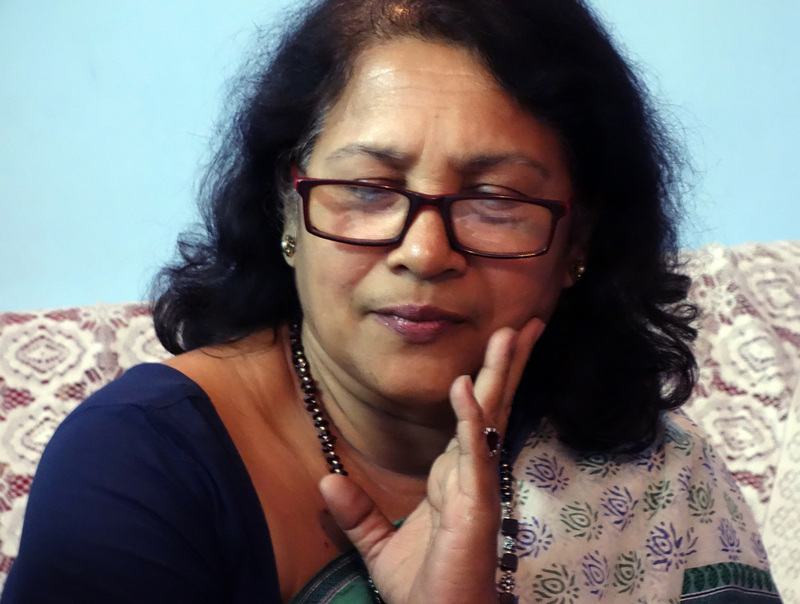 In addition to producing scrolls and composing accompanying narrative songs, she has illustrated several books including The Patua Pinnochio Book, Monkey Photo and others. 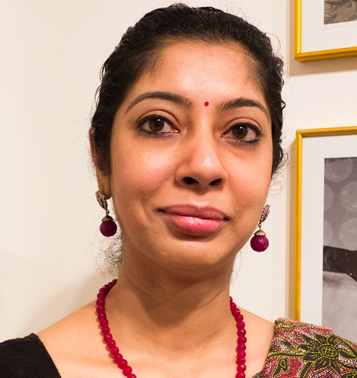 Swarna was an artist in residence at Brown University in Providence, Rhode Island and has exhibited her work at the Museum of International Folk Art in Santa Fe, New Mexico, at a folk art festival in Sweden and many others. Recently, her work was featured in a Bollywood movie. Swarna’s scrolls are often featured at CIMA Gallery (Centre for International Modern Art.) She is represented in collections worldwide. She lives and works in Naya village, Pingla, in West Midnapore.